Let’s talk about something nobody even wants to think about: hair loss. Thinning hair, bald patches, or excessive hair fall are more common than you might think, but if you’re dealing with it, it probably feels like you’re the only one struggling. Unfortunately, hair loss can cause self-esteem to take a major hit! If you’re noticing more and more hair in the drain when you take a shower, you’re in good company. The American Hair Loss Association reports that about 40% of women and 85% of men in the United States suffer from significant hair loss at some time during their lives, most often as they start aging. Worldwide, it’s no different. Hair loss isn’t a death sentence for your full, thick head of hair, but you’ll have to move quickly if you want to save your hair without surgery. Read on for information about everything from natural hair regrowth tips to the latest in medical treatments for hair loss. Before we dive right in and look at some strategies you can use for hair restoration, let’s go over what causes hair loss in both men and women. Knowing WHY hair loss occurs is an important part of knowing how to treat it. Let’s take a look at how hair loss happens. Normally, we shed 50-100 hairs per day, thanks to our normal hair growth cycle. That’s why even people with thick hair notice some hair in the drain and in their hairbrushes. Any loss beyond that, however, isn’t the norm, and will result in thinning hair. This is all part of the hair life cycle: hair follicles, which anchor the hair root, allow the hair to grow. Eventually, follicles become dormant and allow some hairs to fall out as part of a normal, healthy cycle. Not all follicles are on the same schedule, which is why healthy hair stays thick and long at all times, unless it’s cut or thinned. Unfortunately, some people start seeing loss beyond the normal range for the typical hair life cycle, which is classified as alopecia, or hair loss. According to the Mayo Clinic, there are four major causes of hair loss in both men and women. Genetics are a leading cause of hair loss in both men and women. Around 85% of men will experience significant hair thinning by the age of 50, the majority due to male pattern baldness, a genetic condition. This can start as early as puberty, and many men go completely bald over time, or more commonly, develop large bald spots on the top or back of the head. Male pattern baldness can also cause the hair to grow back short, soft, and fine, a process known as “miniaturization”. Female pattern baldness is less common, but when it occurs, it causes significant thinning or bald spots in women. Hormones are in the driver’s seat for many functions of the body, and the hair is no exception. Women, in particular, have many fluctuations in hormone levels throughout life, and are often prone to hormone-related hair fall during certain life phases, like pregnancy, menstruation, and menopause. The good news? Many of these triggers for hair loss only cause temporary thinning. Thyroid issues can also affect hair fall, and can be an ongoing problem. Health problems like autoimmune disease can cause the body to attack the hair follicles, resulting in hair loss. Alopecia areata is one of these disorders, and it’s characterized by patchy, smooth areas of hair loss. Lupus, lichen planus, and sarcoidosis are other conditions that can trigger hair loss. Medications are necessary for controlling many health problems, but almost all carry some side effects. For therapies like chemotherapy for cancer treatment or medications for depression, arthritis, and many other conditions, hair loss can be one of those side effects. Other causes can include harsh styling, poor nutrition, or emotional shock and trauma. Hair loss from these factors is often only temporary. It’s true: hair loss doesn’t do any physical harm, aside from leaving the scalp more vulnerable to sun damage and cold. The catch? Thinning hair and balding can have serious psychological consequences, particularly in women. Hair loss is more common in men, so the result is not usually as embarrassing as it is for women, whose hair is often a source of pride and happiness. Society also accepts male hair loss as normal, while often ignoring it in women—or worse—making mockery of women who experience thinning hair or balding. Both men and women often take a hit to their self-esteem, confidence, and happiness as hair falls out, which can have a serious impact on overall quality of life and well-being. Hair loss is no joke! Now that you know what might be causing your hair to fall out, let’s work on fixing it. You have so many options for natural hair regrowth that you shouldn’t even be thinking about a wig or toupee at this point! The first step in treating hair loss is assessing your lifestyle. Do you lead a stressful life? Do have enough nutrient-rich food in your diet? Poor diet doesn’t usually cause hair loss on its own, but it can be a contributing factor. On the other hand, a healthy, protein-rich diet can help boost the overall health of your hair and hair follicles, which can help prevent further hair loss. It’s always a good idea to supplement any hair restoration method with a healthy diet, which will support healthy hair follicles and growth. Pay attention to the way you style your hair. Do you use lots of heat and chemical treatments? Do you tie up your hair tightly in intricate hairstyles? 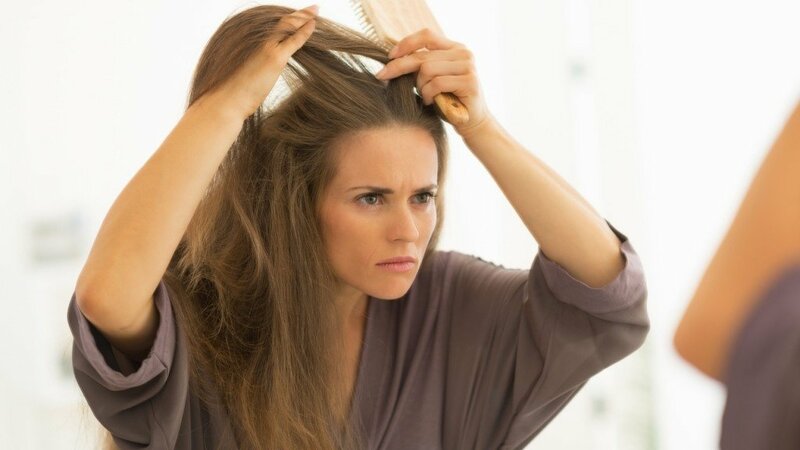 It’s possible that all the stress on your hair is causing some hair loss. Minoxidil was originally a prescription drug given orally to regulate the blood pressure. The side effects? Excessive hair growth. Once its surprising benefits were discovered, Minoxidil was converted into a topical treatment and sold on drugstore shelves. Today, the hormone-blocking drug Propecia is also available with a doctor’s prescription, and can prove very effective for treating hair loss. It’s always a good idea to consult with your doctor if you are experiencing hair loss, even if you don’t want to start taking any medication. 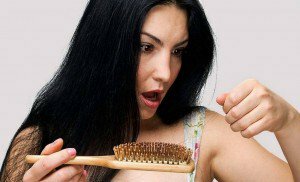 If you start noticing hair loss, you should take a hard look at the products you use right away. There are an overwhelming number of different shampoos and conditioners available, but it’s best to look to more natural solutions for hair cleansing. Choosing a natural shampoo specifically formulated to fight hair loss, like Biconi’s bar shampoo for hair fall is a great way to help slow down hair loss…naturally. Using a natural hair regrowth product alongside nourishing natural oils can help to enhance the health of the scalp and improve hair growth. For men and women with significant hair loss, hair transplant surgery is sometimes the only way to see significant improvement and get hair growing again. While this surgery is very expensive and requires significant healing time, it can produce amazing results and natural-looking hair that continues to grow and thrive. There are two major surgical techniques that can be used: the strip method and the FUE (Follicular Unit Extraction). The strip method involves removing a strip of hair (typically from the back of the head) and extracting individual follicles for transplant. FUE involves removing each follicle unit individually to reduce overall scarring. No matter which technique is used, the biggest factor in a successful hair transplant is the skill of the surgeon performing the surgery. One of the latest innovations in natural hair restoration, platelet rich plasma (PRP) treatments are a medical procedure that uses the patient’s own blood to encourage hair growth. Once the blood is drawn, it is processed to increase the density of platelets and growth factors that help stimulate hair growth. The plasma is injected into the scalp to stimulate the follicles and prevent further hair loss. Most patients experience some hair regrowth, and some have had tremendous success with this treatment alone. Doctors who perform this procedure often combine PRP therapy with traditional hair transplant procedures for enhanced results. Everyone is different, so be sure to try other remedies if you’re not seeing results. Of course, less invasive remedies won’t work for someone who has significant hair loss, just as options like surgical hair restoration are practical for people who are just starting to notice thinning hair. Remember: it’s important to make natural hair restoration choices that are right for you. Not sure what your first steps should be? Start by making a change in which products you use, and talk to your doctor or other healthcare professional about the best options for natural hair regrowth. We take our hair for granted most of the time—until it starts falling out. That’s why it’s so important to be proactive, and prevent hair loss whenever possible. Even if you haven’t started noticing significant signs of hair loss, be kind to your hair. Use natural products, like the Biconi Shampoo bar or Biconi Virgin Coconut Oil, which will help you maintain your beautiful, healthy hair for many years to come. Don’t accept hair loss—fight back and protect your thick and luxurious mane!